4) the amount of time each parent spends with the child(ren). If a parent is unemployed, their income is generally set at minimum wage. In some cases and for good cause shown, the parties may agree upon a different amount of child support. Oklahoma DHS has an Online Child Support Calculator. If you are separated from the child's mother and the child does not live primarily with you, you need to immediately begin paying child support if you are not already doing so. Keep a receipt of all payments. If there is an existing child support order either through DHS or the District Court, then it can be modified based upon a substantial change in income. 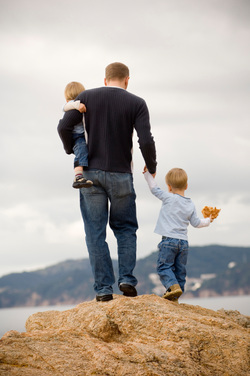 If you experience a job loss or salary cut, then the quicker you file a Motion to Modify Child Support the better! If you fail to pay the court ordered amount of child support, then DHS (or your ex) can file a Contempt Citation against you. On the other hand, if you have a substantial increase in pay, DHS (or your ex) can ask to increase the amount of child support.Oklahoma State law provides that both parties exchange their income information once each year upon request. 43 O.S. 118.3. 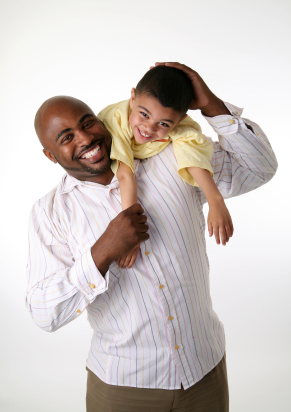 Keep in mind that your visitation cannot be denied if child support is not being paid. On the other hand, child support payments cannot be withheld because you are being denied visitation. Contact us if you need help with a Motion to Modify Child Support or with defending a Contempt Citation.